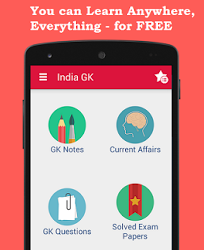 15, 16 December 2017 Current Affairs MCQs, Quiz, Questions: Current Affairs for December 2017, Daily Multiple Choice Questions (MCQs) for India GK, World GK and current affairs with Collection of daily objective type Question by www.Indiagk.net based on General Knowledge (GK) and General Science (GS) Questions for UPSC, State PSC, SSC, Police exam, Railway exam, SBI, Bank PO, IBPC, SSC, LDC, UDC, Army, Airforce, Navy, Coast Guard, Bank Clerk, TET and all entrance examination with current affairs News, Multiple Choice Questions (MCQs) available on Website www.IndiaGK.net and Android Apps with daily updates:. Which Indian city is hosting the 3rd edition of World Telugu Conference (WTC-2017)? The World Conference on Vedas was inaugurated by Vice President M. Venkaiah Naidu in which city? Jitesh Singh Deo has won the title of Mr India 2017. He hails from which state? UIDAI suspends Aadhaar based eKYC licence of which telecom operator on 16th December 2017? PM inaugurated Tuirial hydro power project. It is situated in which state?